Would you like to see TimberTech’s products in action? We’ve designed our decking videos page to help you install and maintain every aspect of your new TimberTech decking. From fitting your decking frame to using our specialist screws and replacing boards, you will find lots of helpful information here on our decking videos page. Our TimberTech installation videos show you step-by-step how to install different parts of your new decking. 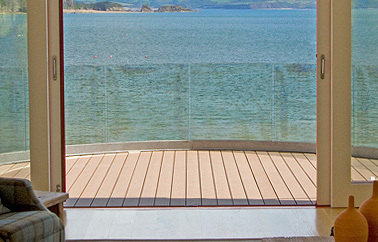 These case studies show you a few of the decking projects we have worked on over the years. Perhaps you will draw some inspiration for you own project here. We have been featured across the media, from newspapers to TV shows. View clips of TimberTech in the media here. If you’ve enjoyed watching TimberTech’s decking installation, case study and media videos, why not head over to our YouTube channel and subscribe for regular installation videos, hints and tips!